Guns N Roses - Another classic slot from the wizards at NetEnt! Are you a rock fan? Do you love listening to some of the legendary rock bands play their music? Well, if this is the case, you will definitely love the slot game called Guns N Roses. If you know anything about rock music; it means that you have undoubtedly heard about the namesake legendary rock band. And now you can play your favorite gambling game, the slot, set on the theme of Guns and Roses. Guns N Roses slot is a game designed by the company called NetEnt; which is hardly a surprise since this company is the biggest online gambling game producer in the world. Chances are that if you pick any slot game you desire to play online – you will find out that NetEnt has designed it. And such is the case with Guns N Roses as well. And as you would expect, the theme of the game centers on Guns N Roses the rock band. When you play the game, you will see that the setting is on a rock concert, with a crowd of people cheering every time you strike a winning combination. The music, as you can imagine, is made of songs from Guns N Roses – you can hear five of their greatest hits on the playlist. Hits such as “Sweet Child of Mine”, “Chinese Democracy”, and “November Rain” can all be heard while playing the game. The symbols of the game consist of regular cards such as the ace, the king and the queen symbols, and of rock music symbols. Again, this is the perfect game if you love rock music, and especially if you love Guns N Roses. You can see the available combinations of symbols at the pay table, so that you can see the value of certain symbols. The game features 20 pay lines, which gives you ample chances to win something. But the best thing that separates this game from the competition is the bonus features. If you have the luck to have 3 bonus symbols in any given spin, then you will get a random bonus feature. You can get the so-called Crowd Pleaser bonus game, where you will be able to click and pick prizes. 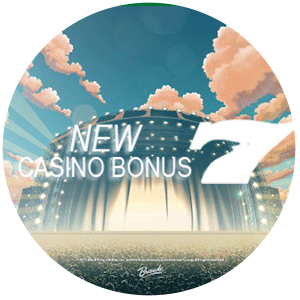 You can also get Encore Free Spins as a bonus, which will give you 10 free spins. And finally, you can get coins as a bonus. There’s also the Appetite for Destruction wild, which will take wild symbols into a cross. No matter if you like rock music, or if you have even heard about Guns N Roses, you will be able to enjoy playing this game, no matter who you are. Of course; it helps if you’re a fan of rock and of GNR. But in either way, all of the bonus features and excitement that this game offers will help you lose track of time while you’re having the time of your life, playing it. Casiplay Casino | New UK Casino in December!